Designed for applications where counter space is at a premium Orbit is the ideal Presentation Scanner for retail convenience liquor and specialty stores. In addition Orbit's unique contoured shape allows it to be picked up and used as a handheld when scanning large or bulky items. Engineered with a large easy-to-find sweet spot Orbit increases first pass read rate for maximum productivity. The scanning head can be tilted vertically a full 30% for added flexibility when scanning various sized objects. Orbit has a patented 20-line omnidirectional scan pattern that produces 1200 scan lines per second. These features increase the scanning through-put without increasing Orbit's size. Orbit is engineered for easy configuration and utilizes user-replaceable cables in order to meet the multiple application needs across the many markets it serves. Data editing or "parsing" is also a standard feature. Parsing enables the encoded information to be manipulated to meet the host system's requirements. 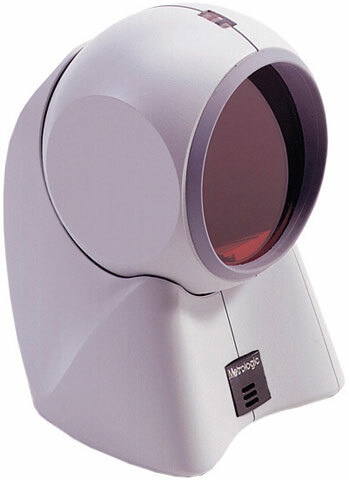 MS7120-47	 MS7120 Orbit, SCANNER ONLY, 1D Laser, Omnidirectional, PS/2 interface. Cables and power supply sold separately. Color: White. Non-Cancelable/Non-Returnable. The Honeywell MS7120-47 is also known as MET-7120-47	or MS712047	.